When we bought round-trip tickets to Paris as the launching point of our Camino del Norte trip, the rolling SNCF strike had not yet been announced. (Or if it had, I didn’t know about it.) I assumed that once we landed it would be an easy train ride from Paris to Irún, just as three years ago we’d been able to hop a train directly from the airport to Lyon, and then on to Le Puy. But as Eric has told me more than once, sometimes we win and sometimes we lose. The trains in France are currently running three days out of every five, and we were scheduled to land on a “strike” day. After nervously reading dozens of websites, I realized the best thing to do was to sit tight in the city for a day, let our bodies adjust to the time changes (nine hours difference from Seattle), and see a bit of the City of Lights. This would be our first time in Paris, and we would be seriously jetlagged (an “overnight” flight that landed when the clock said 8am and our bodies said 11pm). Where should we even start? I sought the opinions of my more travel-experienced friends and made a way-too-long list of “must see” activities. And then I saw a post on social media from another pilgrim, who mentioned that she got a Camino stamp at the Cathedral of Notre Dame. It made sense. 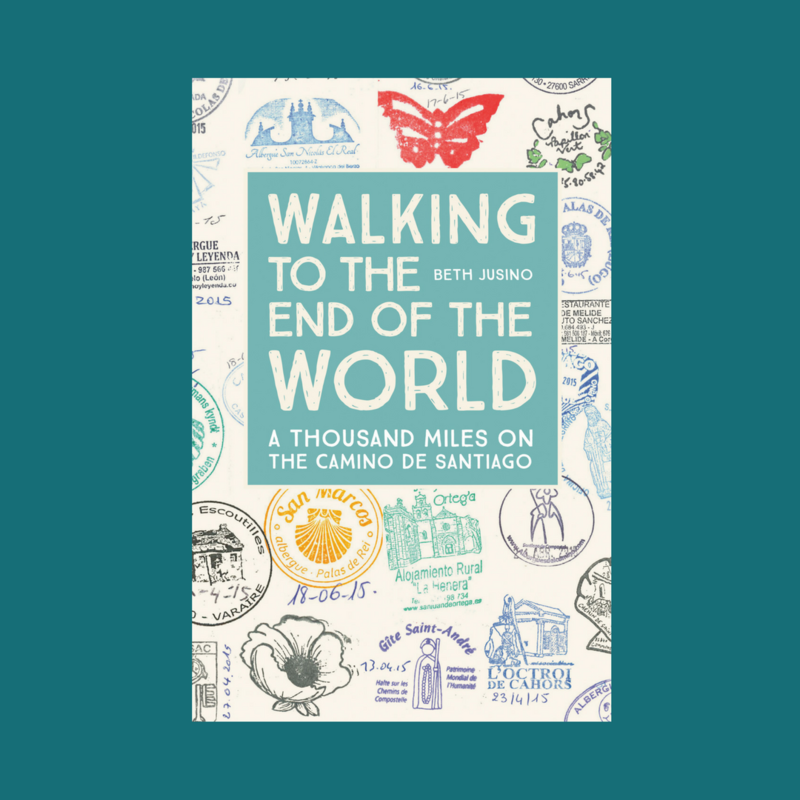 Paris, after all, was one of the four main gathering points for Camino pilgrims, as recorded in the 12th century Codex Calixtinus. For hundreds of years, pilgrims came from the Low Countries and northern points of Europe to the Church of Saint-Jacques, just a few blocks away from Notre Dame, to begin their journey along the Vía Turonensis. Notre Dame, the medieval “parish church of the kings of Europe” with its famous relics and history going back to the fourth century, was part of that pilgrimage story. Notre Dame suddenly became the center of my Paris plans. From our hotel near the Gare Montparnasse, we meandered (which is the nice way of saying I dragged Eric) through the Luxembourg Gardens and up the Rue Saint Jacques (of course) to the Île de la Cité, and deep into the throngs of tourists who gathered around one of the most famous structures in Paris. It was a sunny May afternoon, and there was a festival of some sort happening in giant tents across from the cathedral. Which is to say, there were people everywhere, in lines and posing for selfies and bumping into each other. I started to doubt my plan a little at that point. This was a lot for two weary Americans just off an overnight flight to take in. But the smart people on the Facebook forums had also mentioned something important: as a pilgrim of Saint Jacques, I didn’t have to stand in line to get into the famous cathedral. I scooted up to the edge of the rope line, a skeptical Eric in tow, and held my (so far empty) credential out to the guard. He immediately recognized it. Oui, I agreed. It was good to wear that identity again. He slid open the rope and waved me inside. “Bon chemin,” he said solemnly. We made our way around the line of curious tourists and to the information desk just inside the church, where two bored-looking employees perked up at the sight of credentials. They pulled out a stamp pad, apologized because the ink was running dry, and then proceeded to very carefully mark our presence in this place of pilgrimage. Grateful and a little dazed, we wandered through the cathedral. Mostly, we looked for signs of Saint James or my personal favorite, Saint Roche. Alas, neither had a chapel, although the sacred place was big enough to honor plenty of other heroes and leaders and martyrs. When we left, we should have continued north, to the Tour Saint-Jacques, the tower that is the only still-standing part of the original church. But to be honest, we were exhausted and “peopled out,” and in serious need of rest and refreshment. So we paused on the Pont Neuf to see it from a distance, and then went in search of a good bottle of Bordeaux and a charcuterie plate. Because pilgrims, after all, need sustenance even more than credential stamps. By the time we were done eating, even I had to admit that the jetlag had won, and I skipped my plan to visit the Eiffel Tower at night. But next time, I promised, there would be more time in Paris. Because this, too, is part of the story. Buen Camino, Beth and Eric. Ultreia! Buen Camino…I must do that next time in Paris. 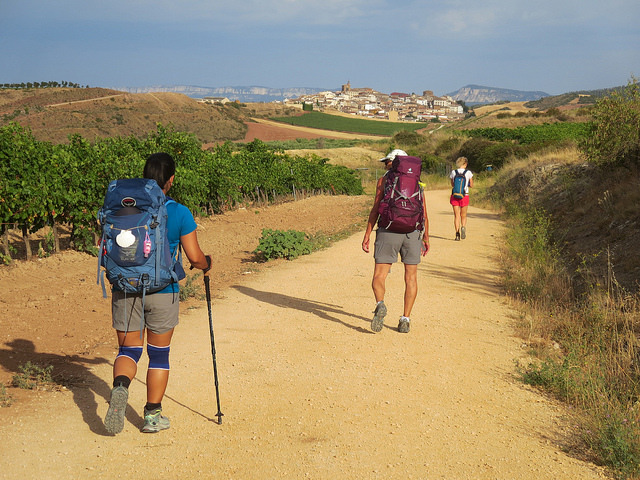 ..spend 5 days there in 2011, that was a before my 1st Camino and it was all about tea. Little did I know then that a year later I would travel through on my way to SJPDP. Looking forward to the rest of your journey.